Is the default config for a mikrotik now okay to use out of the box? Are there other rules and settings I should be using? The default is fine. I use that along with allowing ICMP and have additional rules to detect and block ICMP flood and SYN flood. 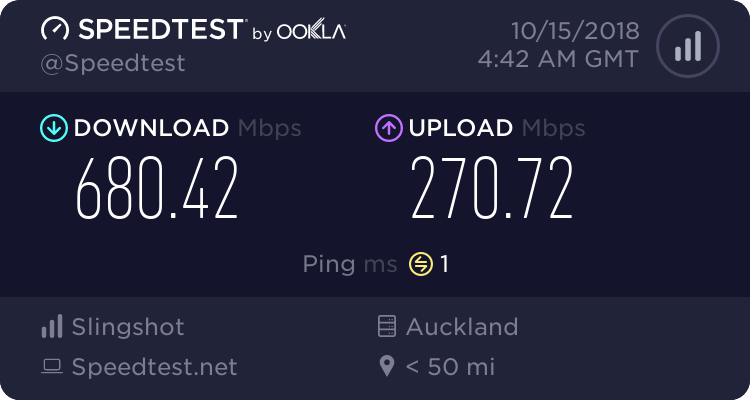 The biggest thing for us in NZ the fact the majority of ISP's require PPPoE and people don't update the rules after making the interface change, then within about half an hour wonder why their router is getting smashed. As Steve mentioned, adding SYN flood and port scanner detection is a good addition too. I find the IP's that the port scanner rule picks up quite interesting. I know there are many different opinions - but can someone please explain to me the benefit of blocking ICMP ping on the WAN interface? My understanding is that one of the down sides to blocking it is that Path MTU Discovery doesn't work. Path MTU discovery uses ICMP packets, but not ICMP Ping packets. If you block just the ICMP Ping packets, it is unaffected. If you block all ICMP packets, then Path MTU Discovery stops working and also several other subtle things, so it is not recommended to do that. Blocking ICMP Ping packets is entirely up to you - I can not think of anything that is damaged by doing that. I prefer to leave pings enabled myself, as there are times when I need to ping my router from my phone to see if the data networking on the phone is working properly. Unfortunately, for IPv4 there is no such straightforward set of recommendations and requirements available. I tend to have my routers allow rather than drop ICMP packets. If I find a problem, I can then drop the problem packets if I need to, but I do not then wind up with strange problems caused by the lack of certain ICMP packets. We leave ICMP open purely because we use it for basic diagnostics for connection uptime/stability. By no means a perfect method but can be a dam handy quick way to check stuff. If you're not port-forwarding or accepting services to your router from the world (eg vpn) there's no need for complicated port-scanner detections or address-list compilations (ie poor-man's fail2ban) as everything will be blocked anyway under the default config. It's only useful maybe if you're curious or if there's a risk that someone may detect an active port forward and start abusing it. That has the presumption that they will port scan before trying said open ports in the first place. add chain=input protocol=icmp limit=50/5s,2 comment="Allow limited pings"
add chain=input protocol=icmp action=drop comment="Drop excess pings"